An Accidental, Screen Printed, NYC Discovery! While perusing St. Anthony’s Market on Houston Street between Thompson and Sullivan in the Lower East Side, on the look-out for interesting screen/graphics printing items, we came across the Chalkboard Tee by Class Attire. We were knocked out with this idea! The little Tee’s were screen printed with a special chalk-ink (a tightly held secret by the originators, Chis and Jinyen) and featured a large star, heart or other design. 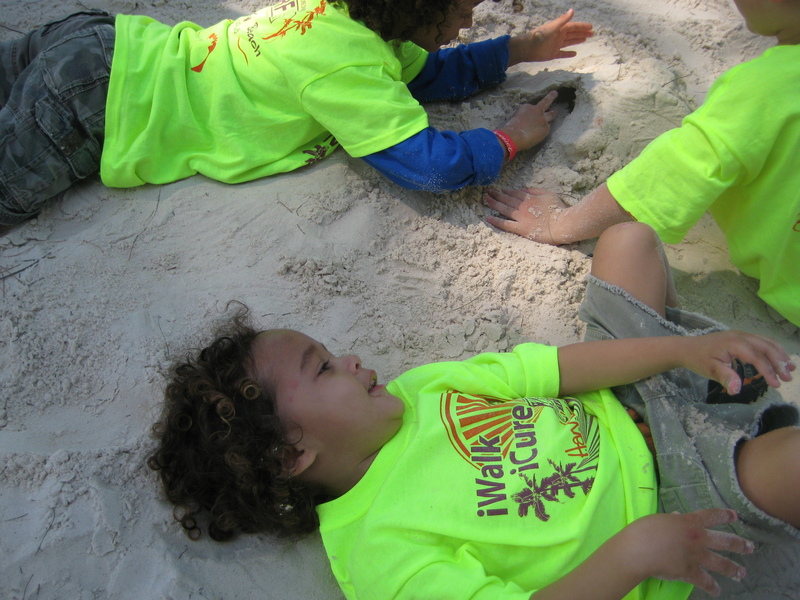 The designs were big enough for little hands with little chalk to create to their heart’s content. We bought one for our 4 year old niece to test and witnessed first-hand the happiness and creativity that this shirt inspired. Especially important to her was the little chalk pocket where she was able to store one piece of chalk. Nice touch! Love these finds! Thanks for reading. An addendum: SingleStep™ is rapidly becoming the most requested heat transfer laser paper due to its natural self-weeding capability that transfers the toner, not the background film; for the fact that a final design appears as if it were screen-printed onto the fabric. And it uses a one sheet process to print on white and light colored t-shirts, hats and other products. To decorate DARK fabrics, SingleStep™ can be used with Textile Metallic Foil to add texture;the color and design pop. This step offers immediate, value-added highlights. 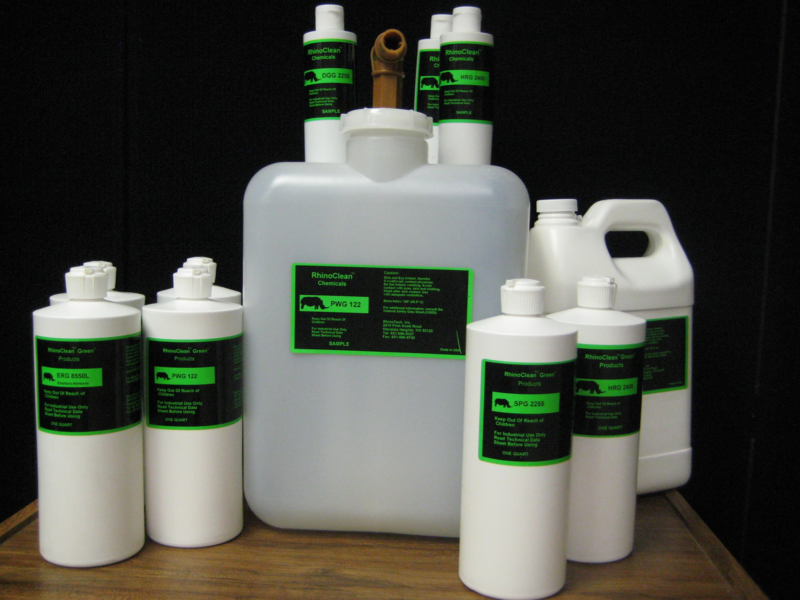 SingleStep ™ can be used on most color laser copiers or color laser printers (both the older low temperature color laser copiers/printers that use fuser oil and the newer high temperature color laser copiers/printers that do not use fuser oil). It will not work on ink jet printers. RhinoTech will demonstrate SingleStep ™ at ISS/Long Beach, Jan. 18-20, 2013 on Booth 255. Jonathan Monoco of Catspit Productions will be available to share his experiences with this product and other RhinoTech products/equipment. Here’s a video about a new product made by RhinoTech. I really wish I had a digital thermostat on my heat press because I think it would have helped me out a little in working with this paper but overall I liked the results very much. It’s nice to be able to do a self weeding process in one step rather than having to do the adhesive sheet at a different temperature and the pressing at a higher temperature like most 2 part self weeding heat transfer papers. Now what I want to do hopefully over the weekend is wash some test shirts I did and do a comparison write up for the blog. I think that would be nice to see. Maybe I can do a picture of before and after. The question is: why should screen and graphic printers participate in ? Simple put…because Pinterest is a gold mine of ideas, a prime place to display your creative genius, another avenue in which to engage and exchange with others in the screen and graphics printing worlds, to maybe even sell some of your t-shirts, hats, hoodies, pillows, invitations and more to new clients you’ve gained as a result of your involvement (pillow screen printed by Emily Chushman, Living Room Board via Pinterest). To join, however, you must first be invited. Once you’ve been invited per email, its NBD to begin.Just follow the prompts and read everything to ensure frustration-free Board creations. Site creation begins with a series of Boards that showcase your company’s screen printing work and/or, for example, community events you’re involved in, travel, art, adventures, fashion, fair trade clothing, architecture. From your boards, you can view all types of sites and “repin” other photos from Pinterest that pique your interest to your boards. Slowly, your repertoire will be constructed and your step into this new world of liking/repinning will evolve into fresh e-social circles. It’s motivating, too. Uno Estudio is a great example of how this company is using Pinterest. The company has a board that displays grafica (that gives credit to the artists – # 1 in etiquette). 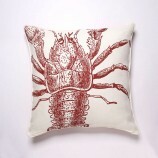 It also has one titled Screen Print complete with a video, a small screen printing project and more. RhinoTech recently had its RhinoBond Crystal, an adhesive catering to craftsters, jewelery-makers and hobbyists, repinned from its Jewelery Board to another jewelery designers board. And the 300 people following her will now have the opportunity to read about this product and …. on it goes from there. Q: How do you determine if Pinterest may be right for your business? A: Can you answer yes to these questions: One, do you have, or can you create, interesting and sharable content on your Web site? Two, do you have products to sell that can be presented visually? Three, are you willing to devote the time that it takes to market on Pinterest? Businesses are lured into social media marketing because it’s free. But the primary investment in social media marketing is time, not money. If you are not willing to devote the time to Pinterest, or any other social media, it’s not right for your business. It must be a scheduled business activity, just like opening the doors or doing payroll. Be bold and may you reap intense exposure. Thanks for reading and liking this! Map invitations courtesy of Carisa Lee via Pinterest. Do Good, Receive Mass Exposure. “Giving back” is the right thing to do. It feeds our sense of social justice and “helps to repair the world”. Even in down economic times, when we’ve only been able to give in-kind and not monetarily, it is easy to remain involved and active to help others in our communities who are most in-need (such as the Juvenile Diabetes Research Foundation). With the past few years being so tough, economically, we know lots of small business owners who’ve questioned whether they should continue on this path of giving. How can a business afford to continue to give even in-kind assistance when, for example, they struggle with the escalating price of raw materials, the need to meet employee salaries, on-going marketing/advertising needs when budgets are virtually non-existent; when the need to spend money on trade-show exhibits or attendance is important? The answer is, without hesitation, is that it’s our inherent make-up as human beings to help those in-need and it’s just the right thing to do. And another answer is that, in the process, this continued involvement will definitely, most assuredly, open up avenues for networking, exposure and sales opportunities for your business. Really, it’s a win-win situation with long-term benefit. There are many upsides to partnering/supporting one (or more) of the zillions of worthy non-profits. Instead of donating money, VOLUNTEER to design/print T-shirts or hats or signs for a fundraising event. This will give you extraordinary visibility, the non-profit will be immensely grateful and you will generate a mass marketing campaign for your company when the signs, t-shirts, hats, hoodies, jackets that you printed also include the name of your company. For example, “T-shirts designed/printed and donated by The Best Printing Company in the World”. Think about the JDRF annual Walk for the Cure. Literally, thousands of walkers will view the t-shirt design you printed on the back of the shirt with your logo and name designating your company as the contributor. This, alone, will magnify one-on-one discussions about what your company does and why you became involved. The networking and card trading will ensue from there – all on a Saturday morning. And don’t forget to follow-up. Additionally, when you contribute shirts, hats, signs, etc, 1) your company’s name will appear in all written pieces by the organization; 2) your company’s name will appear in e-newsletters thanking you as a contributor or sponsor depending on the level of commitment; 3) make sure that you send photo’s of the team and t-shirt/hat/sign images with a brief description of the event and your contribution to the editors of the business and community sections of all major local and regional papers. Smaller, neighborhood papers and other speciality publications welcome these types of news stories; 4) be prompt in sending the same information to trade publications and other on-line industry news sites (like this one) so that your company will gain optimal exposure; 5) make sure to post pictures with date/time/place/name of event and what you contributed on Facebook, Twitter, blogs, this INDUSTRY NEWS site and other social media your company uses. In the end, your company will reap the benefits of this additional exposure both socially and economically from the new customers who will choose to send their business your way as a result of your company’s community service. Company employees will receive an opportunity to champion a great organization and cause as a result of their involvement. And it will be just plain fun. How can you lose? Best of luck. THANKS FOR READING and SUBSCRIBING and OFFERING INDUSTRY NEWS-WORTHY INFORMATION. RhinoTech, an industry leading manufacturer of screen and graphics printing equipment, screen frame adhesives, such as RhinoBond, environmentally-sensitive screen frame cleaning chemicals and supplies is excited to announce its newest partnership with Graphics One, LLC (GO), a developer and worldwide distributor of innovative, world class digital imaging products. The new alliance will offer even more advanced direct screen transfer technology specifically designed for the color separation and screen printing markets. This exclusive system offers a simple system workflow specially designed for home based, start-up and commercial screen and graphics printers who need rapid screen imaging capability with a fast turnaround time. The GO UNO DTS is also capable of imaging transfers for apparel and for rigid substrates. The new system reintroduces a stencil-making revolution with RhinoScreen Dry Stencil Film that eliminates the need for emulsion, capillary film, a film positive, exposure and drying time. Together with a GO UNO DTS system that is a high performance/high speed tabloid LED Direct-Transfer-Screen printer, a heat press and computer, stencil-making becomes fast and simple. The highly efficient system expedites color separation by by-passing most of the traditional methods of screen printing workflow. 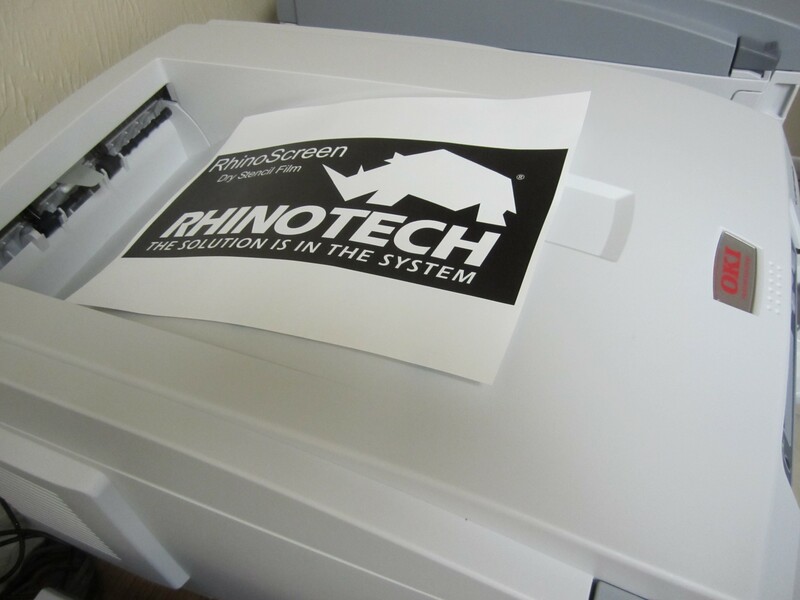 The system comes with a 50 pack of RhinoTech’s RhinoScreen Dry Stencil Film, and a starter set of toners with GO UNO printer priced at $2,195. THANKS FOR WATCHING, READING AND SUBSCRIBING! www.rhinotechinc.com offers screen and graphics printers on a worldwide basis the ability to preview/order products directly. The ASPT is dedicating its Student Printing Competition to Tom Frecska. For those of you who didn’t know Tom, we want to tell you that he was a gem of a human being; a nice guy who was in his element as editor of ScreenPrinting Magazine before his sudden and unexpected death in 2009. Tom was an especially ardent supporter of educating young people in the important art of screen and graphics printing, so the renamed award is a poignant and apt tribute. About the Award: the Tom Frecska Student Printing Competition will be presented to graphic arts students to honor superior imaging work within a variety of categories. Typically, the entrants are students in high school, post-secondary vocational/technical, college or university. Enter Innovative Images Today: Show the imaging community that you have what it takes to excel in this industry with an esteemed Tom Frecska Student Printing Competition Award. Highly sought after by graphic arts students, ASPT awards honor superior imaging work within a variety of categories. Entrants represent secondary (high school and vocational) students and post-secondary (technical school, college or university) students. Exposure: This is a great opportunity for students to have samples of their finest work evaluated by ASPT experts. Winning submissions will be displayed to industry leaders from around the world at the 2012 SGIA Expo, Las Vegas, NV, October 18-20, 2012. Awards: Award of Excellence: First place winners within each category receive an ASPT Student Achievement Award. Certificate of Merit: An honorable mention may be awarded from each category. Best of Show: Two exceptional entries (one from each division) will be chosen from the Award of Excellence winners, and will be honored with the Best of Show award. Best of Show winners receive a special ASPT Student Achievement Award and a cash prize of $500 to use toward their graphic arts education. Instructors will also receive $500 to use toward the school’s graphic arts educational program. Additionally, each school will receive a plaque to showcase their winning students who were honored with the Award of Excellence, Certificate of Merit and/or Best in Show Award. Eligibility: Schools must hold an active membership with SGIA (annual Educator Membership is $25). info@rhinotechinc.com; 888.717.4466; facebook.com/rhinotech; twitter.com/rhinomitemn; rhinoblast.blogspot.com. And thanks for subscribing to this Industry News site. We appreciate your support. If Every Business Hired Just One More Person….. This is a tad of a gift. It’s grant application (that was successfully awarded by a small, private foundation) for you to have to use and adapt to reflect your ideas/community needs and help eliminate employment issues for your company and people with disabilities or others who are unemployed. The basis of the grant is to build a screen printing training/internship program and small, non-profit business venture in conjunction with a non-profit organization. Together, the partnering organizations will: 1) meet market needs for qualified, trained employees for the screen and graphics printing industry; 2) offer state-of-the-art, hands on training leading to bona fide jobs for people with all types of disabilities including those injured while serving in the military or due to an accident, a disease or condition sustained at birth; 3) help give back by helping people in your community who want to work to gain skills and attributes to enable them to find great jobs in our industry; 4) increase consumerism and self-sufficiency. So…here is a way for screen printers and non-profit organizations to mutually benefit their organizations and resolve hiring/training and employment issues along the way. Really, it can be a win-win situation for everyone, including socially. And it does work. You probably know this, but be sure to do some market research, ensuring that the screen printing competition in your geographic area, if you decide to go forward with a partnership, will not be a roadblock to your success. Make sure that you have everyone and everything in place: instructors, space, equipment, students, business plan, OSHA….then write/submit the grant to fit your business’s specific needs; the requirements of the funding agency. If you have to, hire a professional grant writer. It’s worth the time and every cent! So…here is the grant. All names have been changed and are fictitious (except the state of Arizona) for the purposes of this grant model. Thanks for reading, sharing, commenting, questioning. And Good Luck if you choose to use this sample grant and idea in some form. SAMPLE PROPOSAL FORMAT FOR CIVIC, COMMUNITY, PRIVATE FUNDING ORGANIZATION. Purpose of organization: mission of agency and goals. Area and population served by the organization: how many trainees, breakdown of disability type, areas of community served by organization. Statement of Purpose: Our project, Magic Time Printing, will construct a screen and graphics printing work training and internship program for people with disabilities while building a new, small business venture as a way to direct money back into the program. Trainees will gain: 1) the skills and attributes to compete for jobs in screen and graphics printing businesses (or others who have screen, graphics, heat press printing services within their company), 2) an 8 week internship with a related business that will transform into long-term paid employment, 3) the ability to have paid employment through Magic Time Printing. The Market for Magic Time Printing: Research into the screen printing field via the Screen Graphics Industry Association has shown that screen printing remains a viable market for non-profit organizations. According to the Association, there are ___ non-profit organization in the state of Arizona that operate screen printing businesses such as Industries for the Blind, charter schools, community colleges, vocational/technical institutes. We will look to a broad target market as potential customers focusing on schools, community-based organizations, including local county and city governments in ____________, ______ counties, civic organizations, track, rowing, rock climbing and sports clubs, organizations such as the Juvenile Diabetes Research Foundation, Cancer Support Community, American Red Cross and other high profile businesses and vendors of each of the partner organizations. We will utilize all social internet-based sites that have been identified as alternative, high value marketing resources; the United Way, all local free publications, e-news organizations. Within our target market, we will have the potential to print T-shirts, hats, graduation items, scarves, ribbons/prizes, trophies, shorts, sleeves, hoodies, can coolers and other custom specialty items. Financial Considerations: Investigation has revealed that the initial start-up for the venture will require minimal investment of $______ that is the cost of the equipment (manual and heat press technology), but will offer long-term benefit for investors, customers and employees. Strategizing will help us construct a broad arena that will enable us to grow. Any revenue after expenses (that includes employee wages) will be redirected into the hands-on venture. Expected results and outcomes of the project: Output Measure: 80% of trainees will increase knowledge of employability skills through an Employability Skills Training Class. Outcome Measurement: Trainees will maintain or improve employability skills. Output Measure: 80% of Trainees will increase knowledge via individual workshops designed to focus on various health and human development issues. Outcome Measurement: Trainees will improve knowledge and practice of good nutrition, proper work attire. Output Measure: 80% of Trainees will learn/increase positive communication skills with supervisors and co-workers. Outcome Measurement: Trainees will improve workplace interaction skills with supervisors and co-workers. Output Measure: 90% of trainees will obtain internship/employment through employment services of agency and partner. for-profit business. Outcome Measurement: Trainees/employees will gain internship opportunity and eventual long-term, paid employment. Output Measure: 90% of individuals who return surveys express satisfaction with services. Outcome Measurement: Trainees/employees will be satisfied with services. Keys to Success: ADD: 1) agency credentials here; 2) description of for-profit business; 3) for-profit business credentials including community service background, credentials of owner/manager, trainers who will help provide guidance/instruction to program and its trainees; 3) description of internship (how many months, who evaluates, how many internships, etc). Training and Personnel: The Vice-President of Program Services will oversee the project and the Lead Instructor will oversee the day-to-day operations. Initial training will be received through a Screen Printing 101 offered by a professional instructor or employee with for-profit business. Mr./Ms. of for –profit business has over 30 years of screen printing experience, is a successful entrepreneur and business owner…..will lend his expertise to ensure project success for organization and for-profit business (name here). Capital List: the start-up equipment list is attached. A system of Outcome Based Measurement will be utilized to track program results. The system will offer an objective, efficient approach clearly related to the intended outcomes of the project that produces quantitative and qualitative data. This type of Evaluation ensures that participant input has played an integral role in the overall project activities, that culturally sensitive programming has been provided and that students and other stakeholders are satisfied with the project services. It helps to identify any problems/deficiencies so that a plan of action will be able to be instituted immediately to improve services. Follow directions of funding organization application. Other sources of funding for the project: The NAME OF FUNDING AGENCY grant award will be utilized to leverage other funding from local, state and national granting organizations. This is necessary to eventually fund an experienced screen printer/manager and wages of employees with disabilities who will work on a full or part-time basis with Magic Time Printing. Remove ghost images for good with routine use of HRG² 2400 Haze Remover that is an environmentally-responsible product and part of the RhinoClean Green² chemical line. Both graphic and textile screen printers’ use this specially formulated liquid product to remove imbedded U.V., conventional and plastisol inks that remain on the screen following emulsion removal. HRG² 2400 effectively lifts the haze and imbedded ink from the mesh then emulsifies and dissolves the ink resins, binders, pigments, plasticizers, etc. The solution suspends resins, so reattachment to the mesh surface is prohibited allowing for simple water-rinse removal. HRG² 2400 is also an excellent degreaser. And the best part is that it is biodegradable, conforming to standards and our industry’s need to be responsible stewards of our mother earth. A most complimentary shout-out goes to our video-producing partner, Jonathan Monaco who is Catspit Productions. Within the realm of emulsion removers, we want to reintroduce two that are top sellers. They are biodegradable and, with the addition of a filtration system, you are doubly assured that any solids will be collected. As a result, the environmental impact to plumbing and septic systems continues to be protected. Showcased today are: ERG² 8550L Emulsion Remover from RhinoTech that is a highly efficient ready-to-use product. This Emulsion Reclaiming Solution rapidly removes emulsion and capillary films from screens. It offers excellent freeze/thaw characteristics and is ideal for use in all climates. And it never separates out active ingredients. And, as mentioned earlier, environmental, economic, plumping system and septic field protections are assured when a filtration system is used in combination to collect solids that are 5 microns and larger. This can be accomplished by using a RhinoClean M10 Filtration System that has a woven filter media to collect the particles. ERG² 8500L Emulsion Remover is also a highly efficient, ready-to-use product; rapidly removing emulsion and capillary films from screens. The freeze/thaw characteristics are excellent so the product can be easily used in all climates. It never separates out active ingredients and can be used straight or mixed in a 1:15 ratio with water. The same protections are assured when a filtration system is used to collect solids that are 5 microns and larger.